With MixPad Music Mixer multi-track recording and mixing software, you can access all the power of professional recording and mixing equipment through a single platform that streamlines the process and makes mixing a breeze. 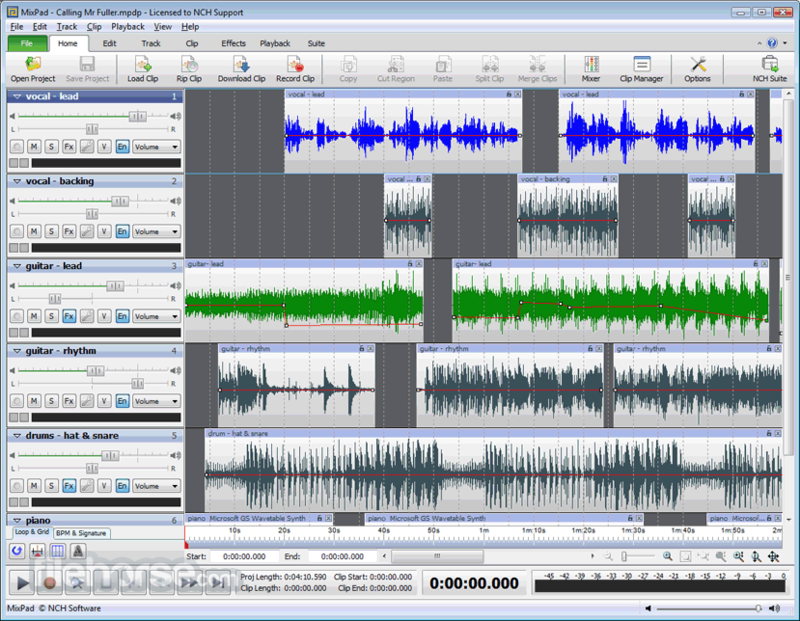 MixPad is a studio-quality music mixing app that integrates with a variety of audio tools that, like this version of MixPad Music Mixer, are free for non-commercial use. 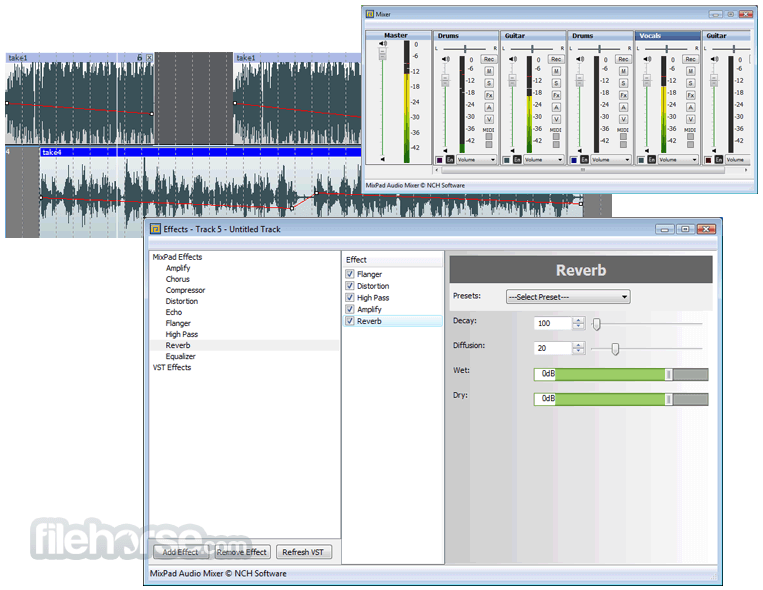 It differs from the usual mixing software in that it doesn't try to look like a studio console but rather uses an easy-to-understand, drag-and-drop layout that takes its visual cues from Explorer and Office. It rips and edits audio clips, samples tracks, changes pitch, adds effects like beats and reverb, and supports low-latency recordings for best audio quality.